Dunham’s Bay Boat Co. in Lake George, on the east side of the lake off Route 9L, has been purchased by the local Freedom Boat Club affiliate owned by Matt and Rebecca O’Hara. 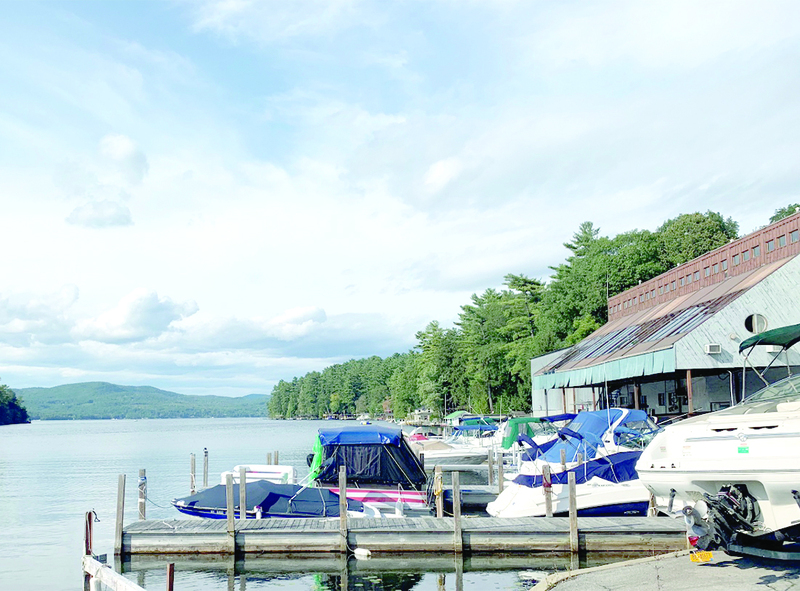 After three years of growth, Freedom Boat Club owners Matt and Rebecca O’Hara have closed on the purchase of the Dunham’s Bay Boat Co. located at 10 Dunham’s Bay Road (Route 9L) on the east side of Lake George. Freedom Boat Club Lake George has been located at Beckley’s Marina in Diamond Point since the start of 2016. The couple plans to grow the fleet from seven boats to 12 boats in the coming year and with that growth came the need for more space. Freedom Boat Club owns, maintains, stores and insures a fleet of new, name brand boats for membership use. With close to 170 locations and growing around North America, the sharing model is surging in popularity, the owners said. This is a rendering of the newly expanded Tannery Bar and Restaurant at Gore Mountain, on the Base Lodge’s upper level. The state spent some $12.5 million on facility expansion and upgrades. Gore Mountain was a hub of construction activity over the summer. It involved three separate projects, all designed to enhance skiers’ enjoyment t the facility, both indoors and outdoors. 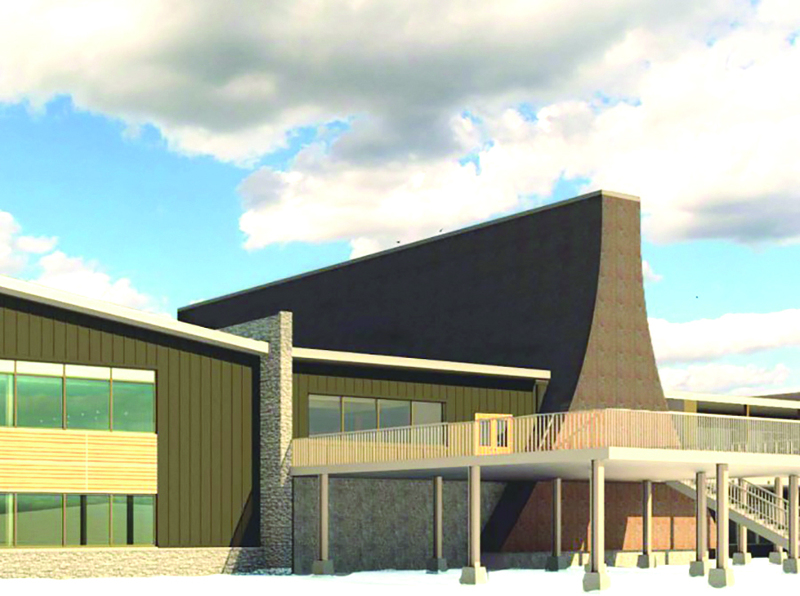 When everything is complete, a total of $12.5 million will have been spent on expanding the Tannery Bar and Restaurant on the Base Lodge’s upper level, with an expansion of the locker areas and the Mountain Adventure kid’s ski school program. On the slopes, a new pump house, automated snow-making equipment and a widening of one of the more popular beginner/intermediate trails will be completed before the snow flies. According to Gore Mountain’s General Manager Bone Bayse, a total of 8,000 square feet has been added to the Base Lodge. Some 4,000 square feet on the upper level in the Tannery will result in an additional 240 seats in the full-service bar and restaurant. Directly below, the other 4,000 square feet will mean an increase of 150 lockers for skiers to store gear, as well as creating a new home for the ski school program. Last year’s Boo2You festival attracted many clad in Halloween costumes. 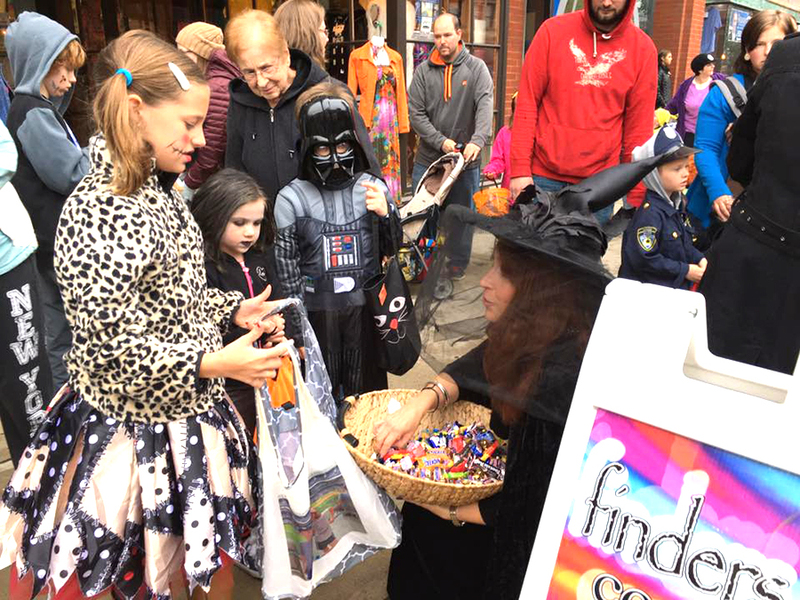 The Glens Falls Collaborative will hold its annual Boo2You Halloween festival on Saturday, Oct. 27, from 2 to 4 p.m.
Children, and adults, are encouraged to attend in costume to trick-or-treat during the downtown festivities. Activities will take place along Glen Street, and in City Park, from 2 to 4 p.m. They include trick-or-treating at downtown storefronts and along “candy lane” with guest businesses and organizations; a meet-and-greet with costumed characters; spooky dance performances by local dance schools; and a Fun Zone, including pony rides, a petting zoo and games. This is the interior of the new Adirondack Welcome Center near Northway Exit 17. 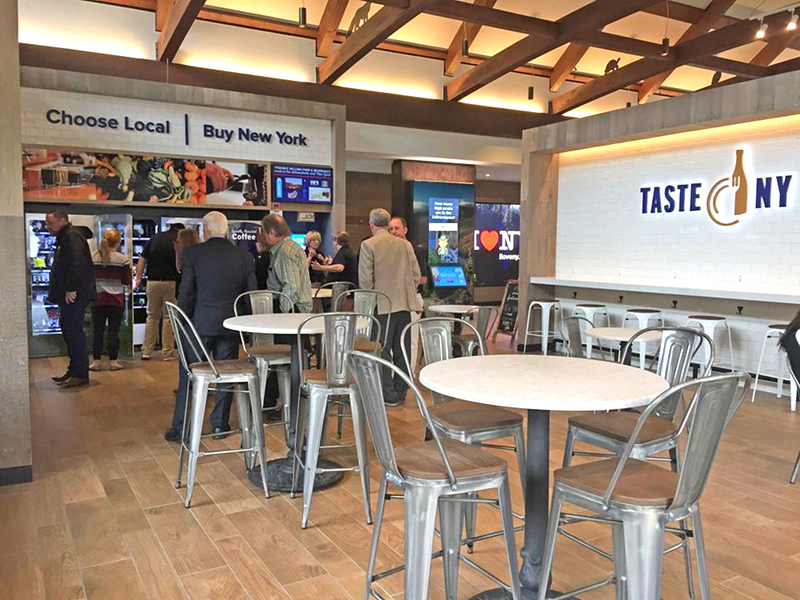 A new Adirondack Welcome Center rest area that the state is calling state-of-the-art opened in September on the Northbound side of the Northway, between exits 17 and 18 in Queensbury. The 8,615-square-foot center cost $16.2 million and is located on a 22-acre lot, just over the Saratoga County line between the Hudson River and Exit 18. The facility is a comfortable, modern gateway to the Adirondacks region, promoting local attractions and providing a family-friendly respite for travelers heading into New York state’s six-million-acre Adirondack Park, the largest publicly protected park in the contiguous United States. The new center features an Adirondacks Walk of Fame leading to a new, 8,615 square-foot, LEED certifiable building the state said is more than four times the size of the buildings that serviced the rest area for decades. Mickey Orta has joined the NBT Wealth Management as senior vice president and a member of the NBT’s wealth leadership team. Orta is based in the bank’s Glens Falls Regional Office and is responsible for leading NBT’s retirement plan sales efforts and regional wealth management strategies. Orta has 20 years of experience in the financial services industry. He comes to NBT from Glens Falls National Bank, where he had responsibility for leading the Wealth Management Division and served on GFNB’s senior management team. He was also the portfolio manager for the North Country Equity Growth Fund. Orta, a resident of Queensbury, graduated from SUNY Plattsburgh with a bachelor’s degree in economics. He is a certified trust and financial advisor. This is the Just Water packaging plant at 31 Broad St. in Glens Falls. The company recently started distributing its product in the United Kingdom. 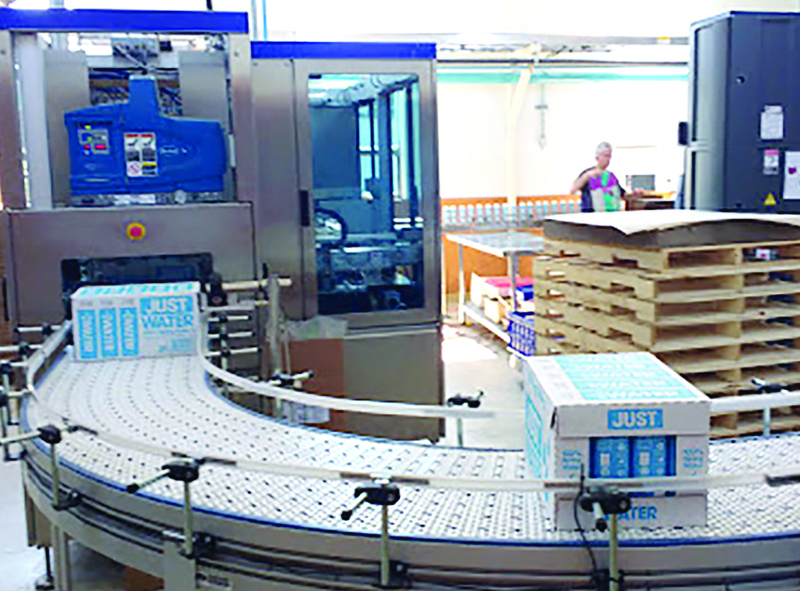 It has been two years since JUST Water located to Glens Falls, setting up a water packaging facility in the former St. Alphonsus Roman Catholic Church on 31 Broad St. In August, the company launched its signature baby blue water container in the United Kingdom. With the help of actor Will Smith, whose son, Jaden Smith, created the company to help fight back against the global problem of plastic waste, JUST launched its increasingly familiar pale blue square “bottles” in some of the most popular retail locations in the UK, including Whole Foods and Boots. JUST Water packaging is made of 54 percent paper, sourced from 100 percent certified and traceable Forest Stewardship Council-managed forests, 28 percent plant-based plastic (made from an FDA-approved sugarcane-based resin), 15 percent traditional plastic and 3 percent aluminum foil, which forms the protective liner on the inside of the packaging. AngioDynamics Inc., a leading provider of innovative, minimally invasive medical devices for vascular access, peripheral vascular disease and oncology, has an agreement to acquire RadiaDyne, a privately held medical diagnostic and device company that designs and develops patient dose monitoring technology to improve cancer treatment outcomes. The transaction expands AngioDynamics’ growing oncology business by adding RadiaDyne’s early-stage, proprietary OARtrac, real-time radiation dose monitoring platform, and other market-leading oncology solutions, including the IsoLoc/ImmobiLoc and Alatus balloon stabilizing technologies. “The acquisition of RadiaDyne, combined with our recent BioSentry asset purchase, delivers on our commitment to build a world-class oncology portfolio,” said Jim Clemmer, president and chief executive officer of AngioDynamics. 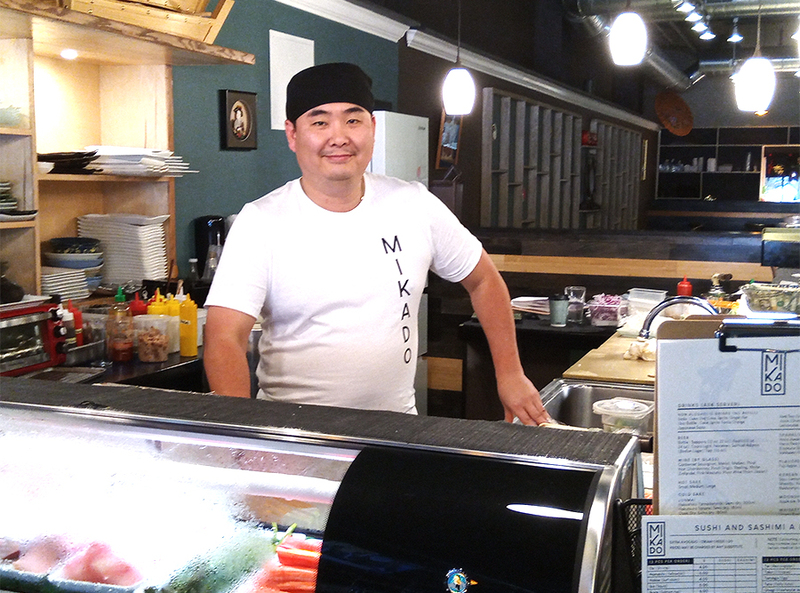 Danny Chang, owner and chef, has re-opened Mikado Japanese Restaurant at 197 Glen St. in Glens Falls. Seating has been increased to 150 and the menu has been upgraded and expanded. After a month’s hiatus, Mikado Japanese Restaurant in Glens Falls is back, a block away and twice the size, at 197 Glen St. There is a new bar, an expanded menu, some 10 additional staff people and, if all goes well, there will soon be new grills in the six hibachi tables. Plans for an expanded restaurant had been in the works for some 18 months, according to co-owner Danny Chang. The restaurant, at its previous location, was closed a month ago. That building will be converted to mixed apartments and commercial use. The month in between was used to convert the former home of Adirondack Billiards into a 5,000-square-foot eatery. A stretch of road along Route 9, from Route 149 to Sweet Road in Queensbury (Exit 20), is the subject of a $100,000 traffic study, an area for “targeted growth, investment, revenue and new jobs” that is expected to span over the next decade, according to Ed Bartholomew, president and CEO of EDC Warren County. The study was completed by the engineering firm of Creighton Manning LLP and funded by EDC Warren County, Warren County and National Grid. In September, EDC Warren County held what was billed as an “open house and interactive meeting” to discuss he study. A more spacious waiting room is part of the Granville Medical Center expansion. Glens Falls Hospital has completed a major expansion and renovation of its Granville Medical Center that officials said improves patient comfort and convenience and leads the way for an expansion of primary care and integrated behavioral health services. 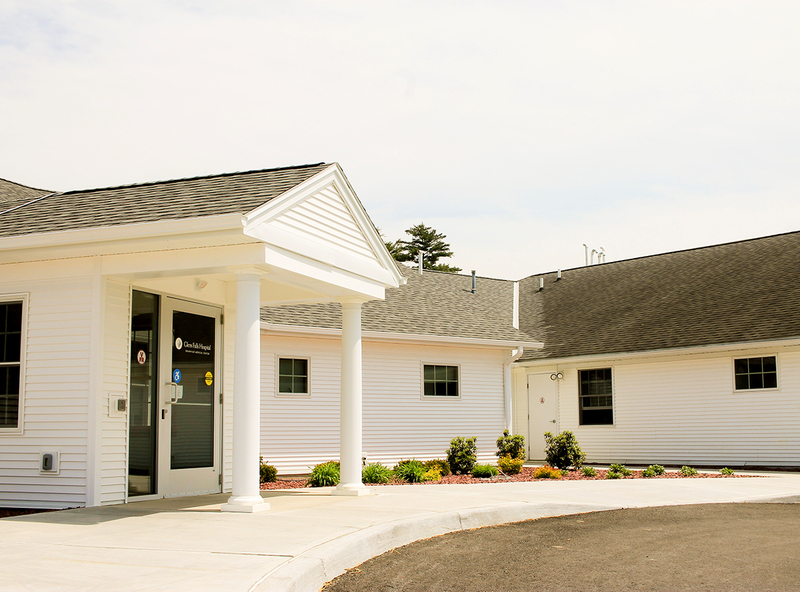 An approximately 2,000-square-foot addition on the north side of the building now serves as the main entrance and houses a new, more spacious waiting room and patient registration area, and an expanded laboratory for diagnostic tests. The 1,400-square-foot area previously occupied by those services has been renovated into three new exam and consultation rooms and office space for the center’s physicians, physician assistants and nurse practitioners. The project was funded in its entirety through a grant from the state Capital Restructuring Financing Program (CRFP), in coordination with the Delivery System Reform Incentive Payment (DSRIP) program. The CRFP grants help hospitals and healthcare providers fund critical capital and infrastructure improvements to integrate and further develop health systems.